Determined not to be a garden-variety diva, Sophie Winston's neighbor Natasha cultivates a plan to shine on television-using Sophie's backyard. As the cast and crew of the makeover show Tear It Up with Troy bulldoze through her backyard-and vacation-Sophie retreats to her perennial boyfriend Wolf's to replace a dead rose bush. 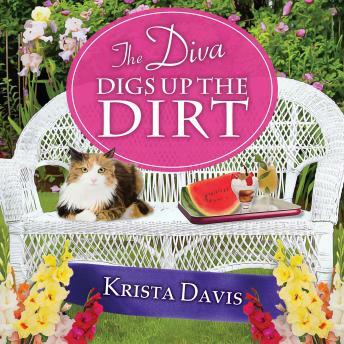 But her tender deed goes awry when she digs up a purse belonging to Wolf's missing wife. As speculations sprout, Wolf bolts, and then a body crops up in a garden. Is Wolf's thorny past raising a dead head? This is one case the domestic diva can't let wither on the vine.